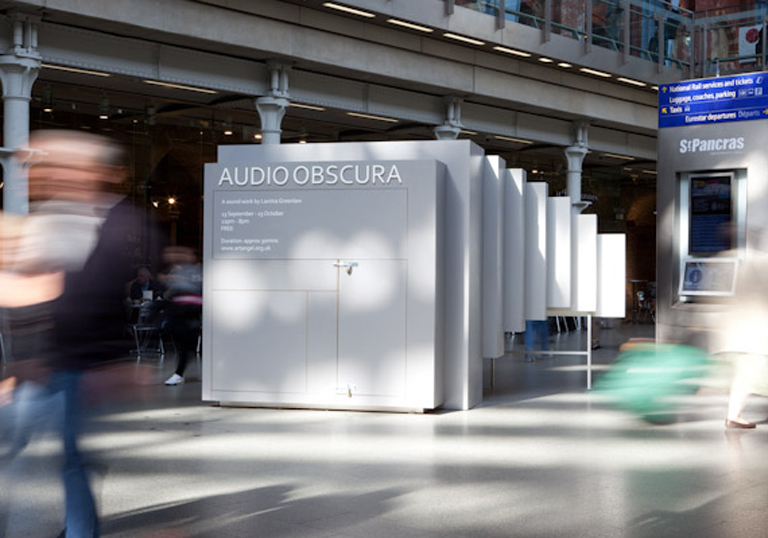 Co-commissioned by Artangel and Manchester International Festival, Audio Obscura is a new sound work by award winning poet and novelist Lavinia Greenlaw. 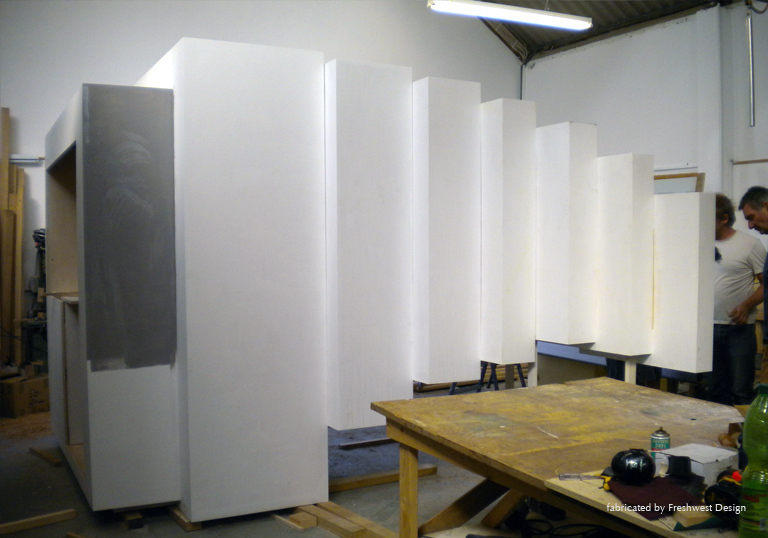 In an aural equivalent to the camera obscura, the audience experiences the project in a solitary way – hearing fragments of individual narratives, glimpses of interior worlds drawn from monologues that glance off one another, hovering between speech and unconscious thought. 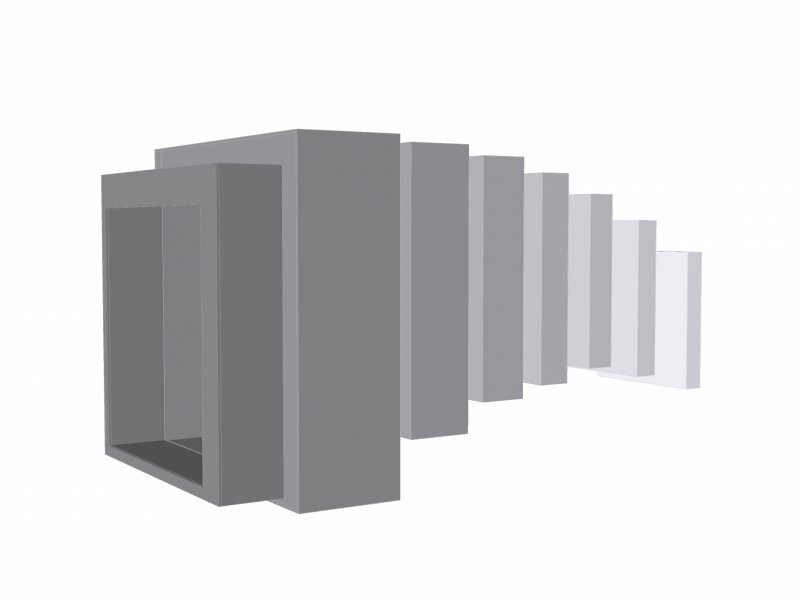 The design of the kiosk is inspired by the geometry of a seashell – a common reference to sound and hearing – and camera obscura. 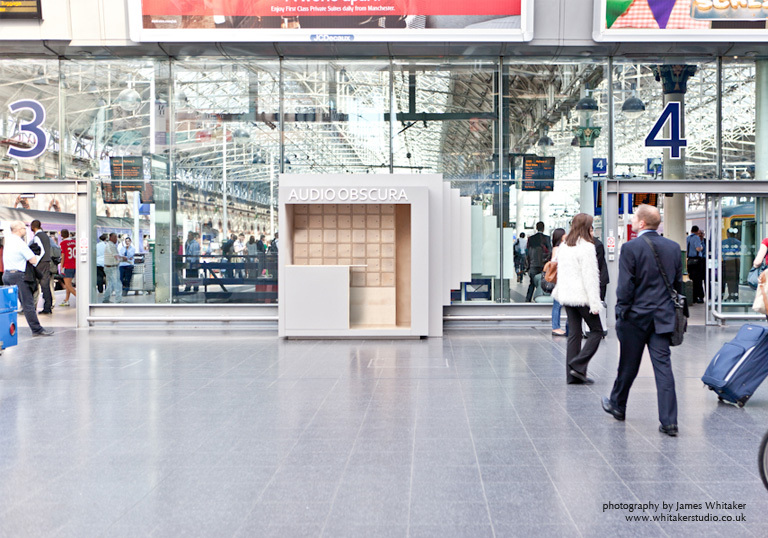 It is a temporary sculpture as well as a functional information point where 42 headsets are stored and distributed to the public. 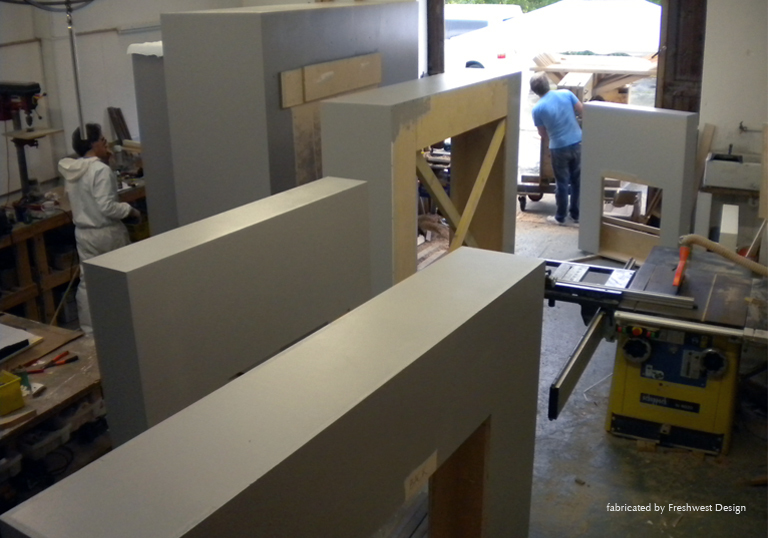 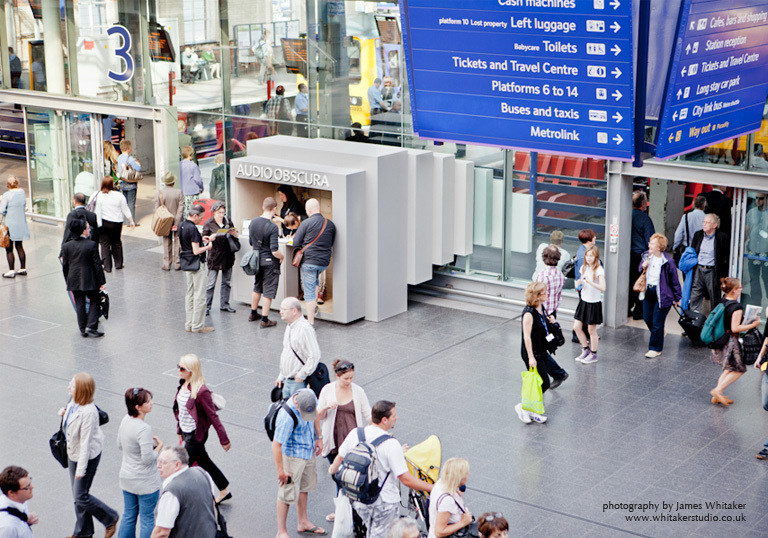 As an information point, it needs to adapt to two different locations and the approach is to create a three dimensional kiosk with equally interesting front and back. 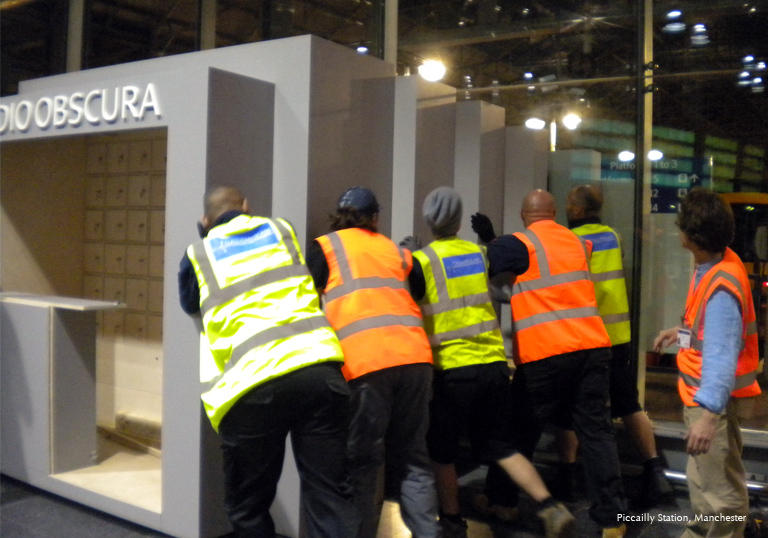 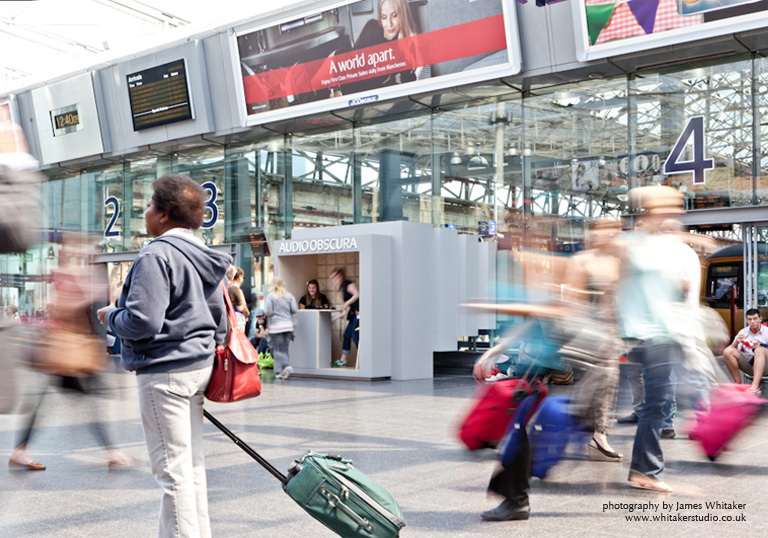 In Piccadilly Station, the kiosk appears to penetrate the glazed concourse, drawing attention from the train platforms. 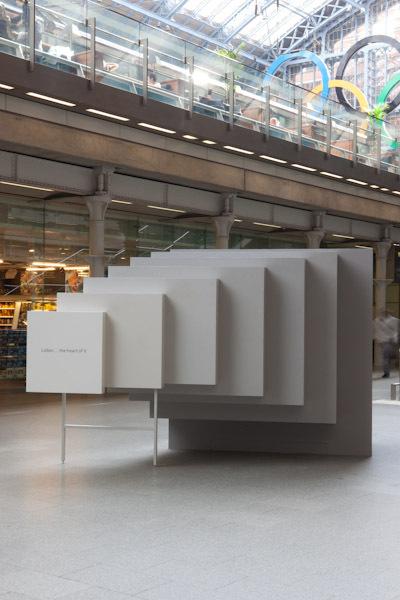 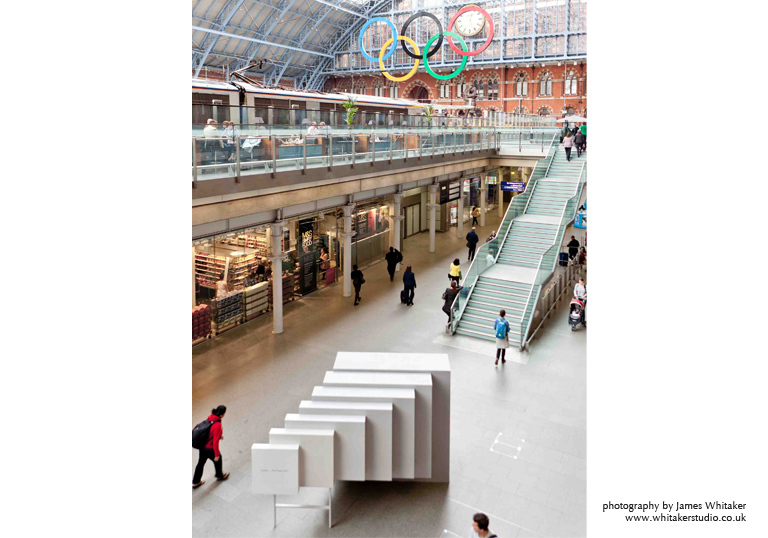 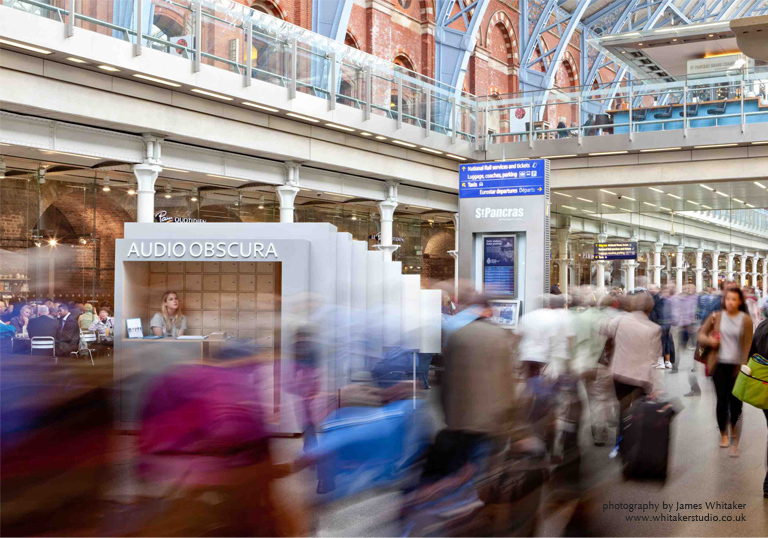 In St Pancras station, the kiosk is located in the middle of the arcade, visible from all sides and the second floor. 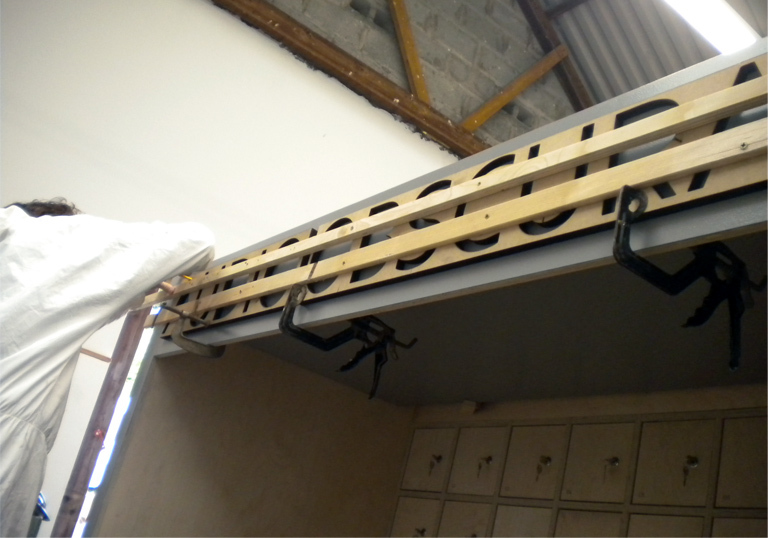 During the day, the front elevation folds into a desk for the invigilators, and at night the kiosk is fully closed, with event details on its door. 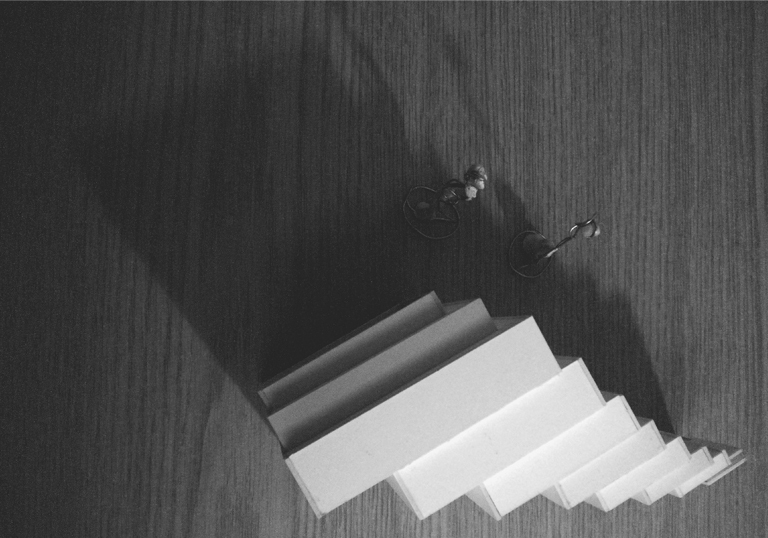 The bespoke palette of grey tones echoes the monochrome nature of the text and Julian Adams’ photography for the book.